On Friday afternoon I had planned on writing a post about about the most ridiculous day on the internet – a day in which the assurance of Net Neutrality was followed up by a couple of escaped llamas finding their way into the hearts of America, and a dress which divided all of the internet into Team White and Gold against Team Blue and Black. It seemed everyone on the internet had lost their collective minds. Then, the world lost Mr. Spock. Suddenly joking about llamas and a dress seemed pointless and trivial. Within less than 24 hours we had gone from the height of silliness and fun on the internet, to the depths of grief and mourning. It was enough to give you emotional whiplash. Back in 2013, after the death of Glee star Cory Monteith I wrote this post about who we mourn when we mourn celebrities – do we mourn the actor or the characters we’ve come to love? I concluded that it in the end it probably doesn’t matter – either way fans have lost someone special. With Monteith I suspect we mourned the character Finn more than anything – at least I did – but with Leonard Nimoy, fans have known him for decades, and for more than just Spock (though that’s easily his most recognizable role). 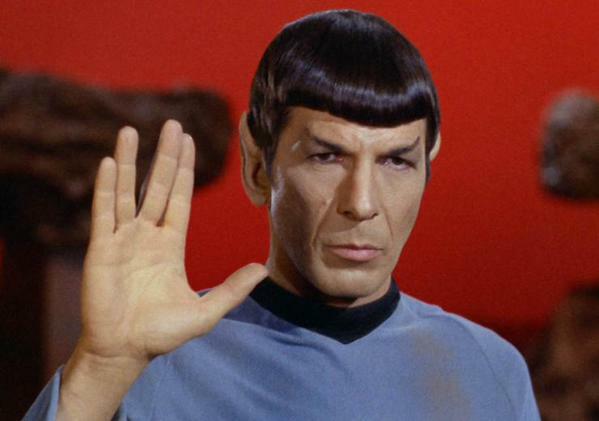 Nimoy’s life had a huge impact on a large number of people and he, and Spock, will never be forgotten. I think all four of these recent events – the Net Neutrality vote, the llamas, losing Leonard Nimoy and yes, even the dress – are all fascinating examples of how much bigger trend in social media, and of how much our lives have changed in the last 10 years as a result of that trend. We’ve become a nation addicted to immediacy and social media has become the equivalent of a 24/7 news service. You are now more likely to learn of breaking news from social media sites such as Twitter than from reading or watching the news. Nearly every major news event or celebrity death of the past few years I’ve read about on Twitter before I’ve heard it anywhere else. I learned Nimoy had been taken to the hospital last week from a friend’s post on Facebook, and I heard about his death on Twitter. Not only has social media become a source for news, but as last week has shown, it also creates news. The image of the dress went viral in just a few short hours, and suddenly that is all that was on my timeline Thursday night. The much anticipated two-hour finale was also taking place Thursday night, but my entire Twitter feed was dedicated to the dress. The following morning every single news service in America was discussing the dress as well. Isis had been destroying priceless antiques in the Middle East, but all Americans seemed to care about was what color a dress was. 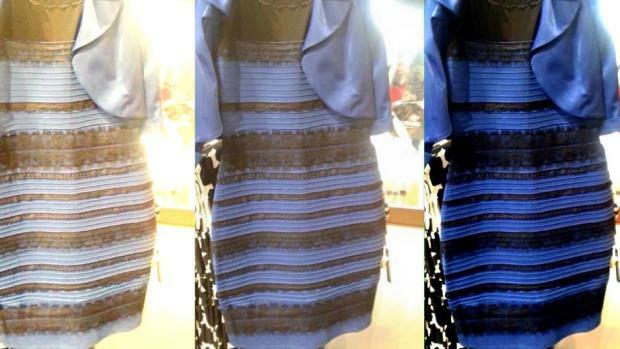 Many media outlets even went so far as to consult experts to explain why people see the dress differently, in an effort to make the story more newsworthy. This isn’t the first time something going viral online has become news, but it’s probably one of the most inane and trivial examples of it happening. But just when the dress debate was showing us how ridiculous the internet could be, the loss of a legend showed the more positive aspects of social media – demonstrating once again that it’s a place where people who have never met can share grief and support one another while mourning someone millions of people loved. And this is why I love social media: no matter how stupid or asinine it can get, it can also be great. Social media joins fans together, allows them to interact with people from all over the world as well as celebrities and writers and any other number of people. It allows us to debate topics – sometimes friendly, sometimes not – and unite together under a single cause. It allows celebrities to interact with fans in ways they may never have dreamed of 10-20 years ago – through Q&As, online auctions and contests, even fundraising campaigns. If you’ve ever participated in GISHWHES, then you know just how terrific the advent of social media can be, and what it can do. So the next time social media has a mental breakdown (and you know it’s going to happen) don’t get too frustrated. Remember it’s a cycle and eventually things will go back to being boring … and occasionally awesome.